It's feeling pretty crisp here in Ohio - last Saturday, you know 4 days ago, it was 90 and so humid - today the low 60's - what's up with that? I'm not ready for fall but I do love fall colors. Today how about some poppies in orange? The flower is from the new stamp set from ISC Friendship Flowers II. 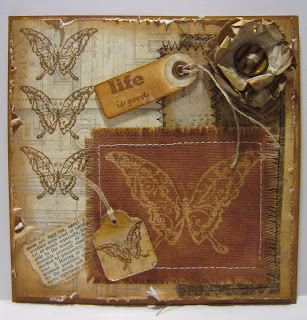 The flower is blended with distress ink and some distress stickles in the center. The entire flower is popped up for added dimension. 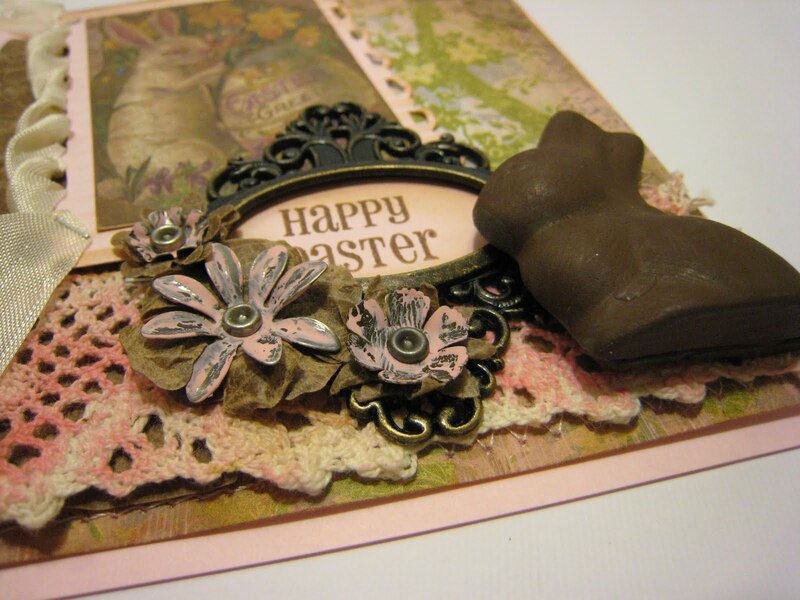 This card has lots of my favorite things - flowers, basic gray paper, sewing and my Tim Holtz distress inks - sigh - just makes me smile! Still thinking about Christmas - maybe I need to do something Christmas themed? I hope everyone had a wonderful Labor Day! We had our family picnic at my house on Sunday and I had a beautiful lazy day on Monday! 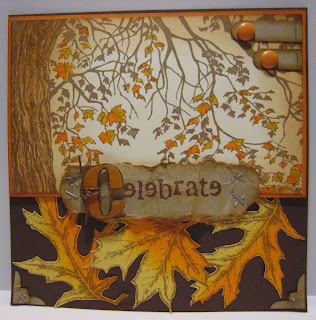 The entire stamp was used second generation stamping in the background using sepia Archival ink. 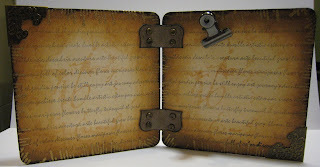 Then stamped on crap paper using peeled paint distress ink for the sea grass level. 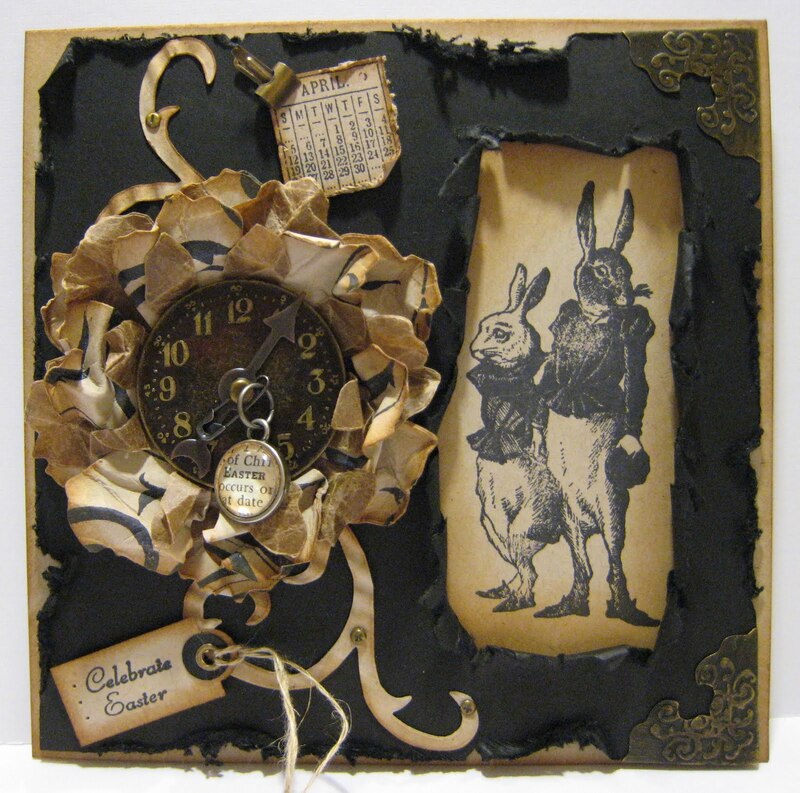 The girl was stamped with black archival, hair coffee archival and the dress and hat were paper pieced. Here is another sample using the same set. The square was masked off and then blended with Vintage Photo distress ink. The dress and hat were water colored with the same blue in the background panel. This is actually beautiful IRL - but the photo kept coming up dark for me... Sorry! Hmm - I find myself thinking about Christmas.... Anyone else thinking about Christmas yet? 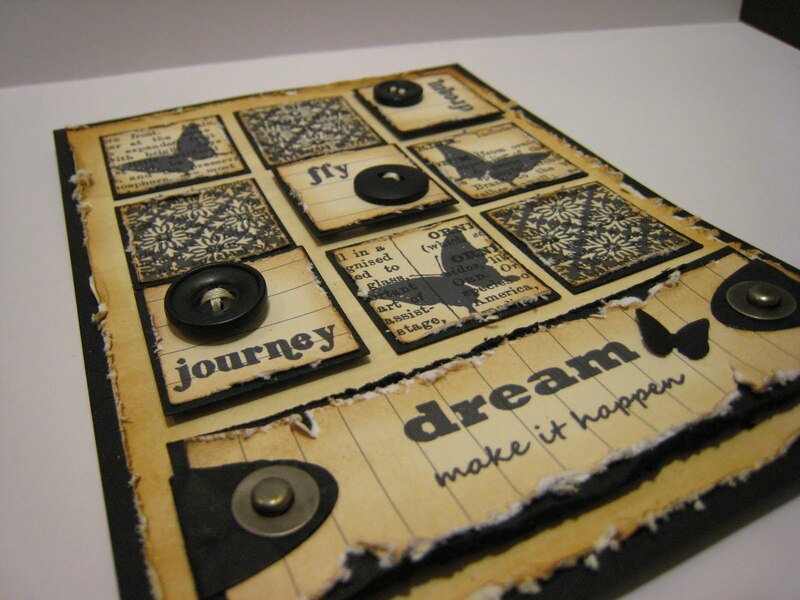 Enjoy your Tuesday and Happy Creating! Okay - really I am back. Life has been hectic with my Mom but I have figured out a way to carve some time out to create! 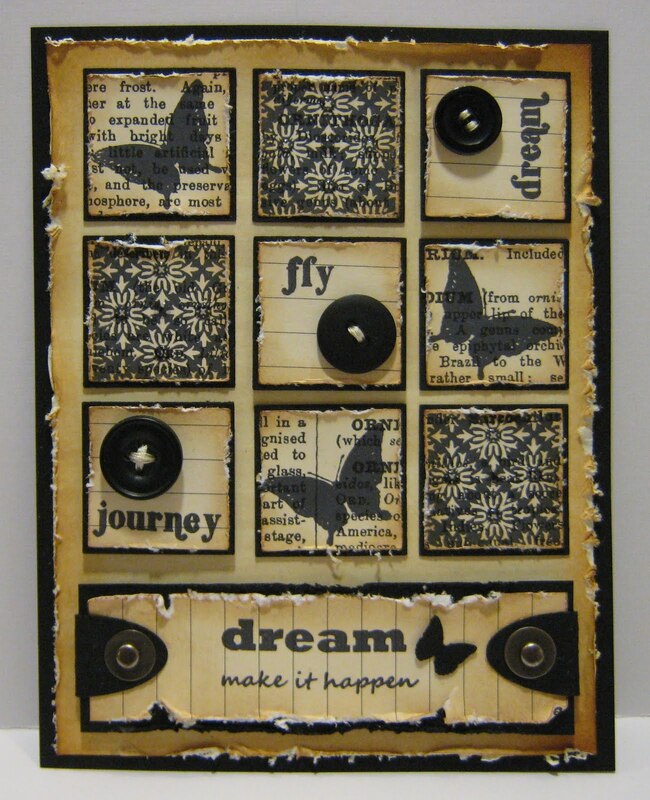 Over the next several days I will be sharing the Innovative Stamp Creation's August Stamp line release. I love fall leaves and these detailed leaves in a river bed (that is what I see) are simply beautiful. I water colored the main image using my Distress Ink pads. The background panel is the larger image in that stamp set stamped off once. The leaves on the side are from the main image water colored and hand cut out. The stamps from the August release of ISC are fabulous - take a moment to check them out here! Have a fabulous Wednesday and Happy Creating! 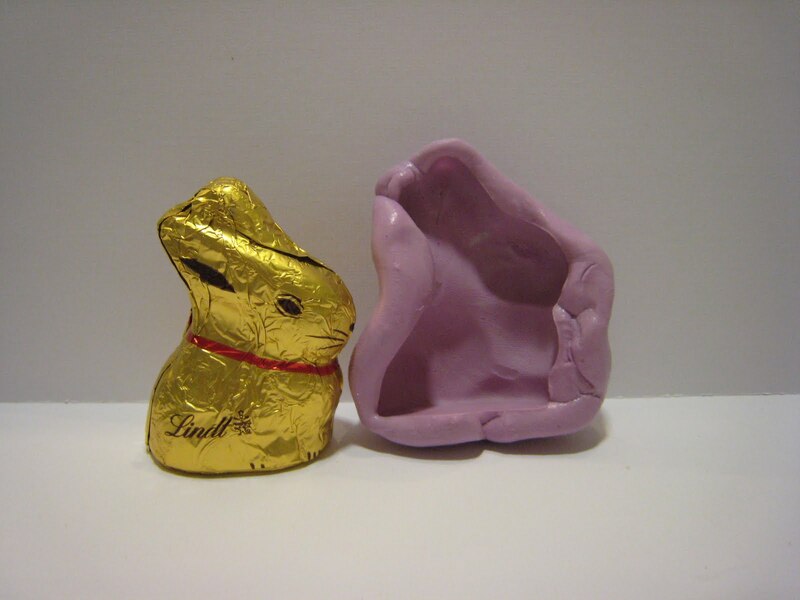 I hope the Easter Bunny left you your favorite Chocolate Bunny or some of his special jelly beans (have you seen Hop?, if you have you know about his special beans LOL). 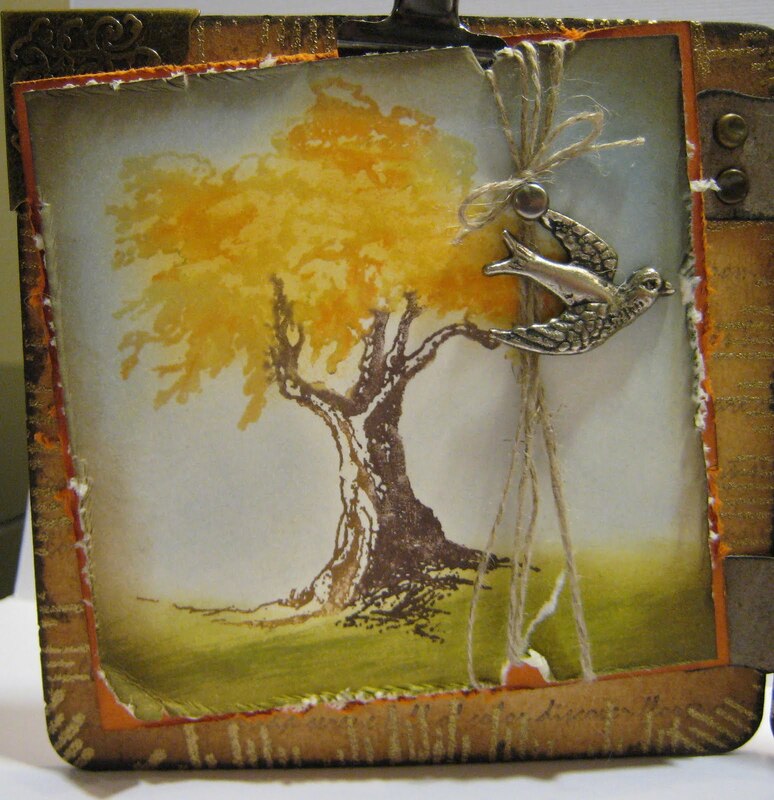 This card was inspired by a Make and Take that Tim Holtz did "somewhere" and Mario Tweeted it (he is the king of BTS you know - if you are not aware you should follow him on twitter. He shares what is going on "behind the scenes" with Tim and his love of Starbucks! ). 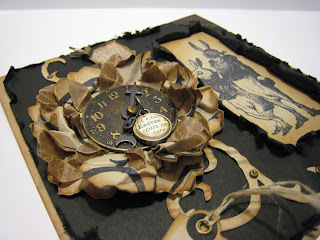 This one is full of Tim's dies, ink and idea-ology. That awesome bunny I bought at a stamp show last week - it's from 100proofpress (I like that they have unmounted rubber - my fav). 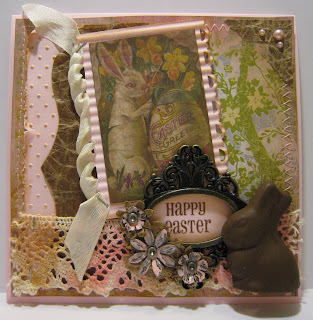 I also used some of Tim's Glassine paper on layers of the flower. I wish you lots of great chocolate today and I also hope that you get to spend today with your family and friends! I found out this week when trying to get my MOJO back that all I need to do is play with new stuff (and yes I am guilty of buying new stuff that I just have to have and some of it never sees the light of day). So more new ISC images, Tim Holtz products and sticky back canvas today! 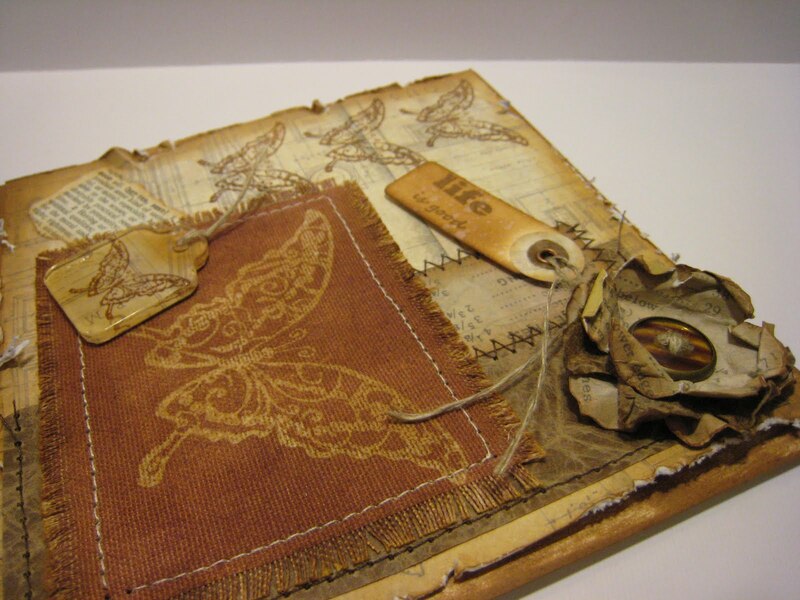 The main butterfly image is clear embossed in sticky back canvas using Delicate Swirls Butterfly (butterfly = good) and then colored with Vintage Photo Distress Stain (Distress Stain = good). I removed some of the canvas thread to give the panel a frayed edge (frayed edge = good). The flower and the background panel is from the Crowded Attic paper (new paper = good) and there is a layer of Glassine (Glassine = good) on the flower. Vintage dictionary definition ($1 find at a thrift store = good) and Butterfly fragment charm (charms from stash that never seen the light of day = good). Finally some sewing, inking, more stamping and distressing (that's all = good)! Today = good - last night not so much! My Mom fell twice last night and every time it's a miracle that she has not really hurt herself. Life as a care giver and stroke patient = NOT so good. Creating = Good! Have a great day! Hello fellow bloggers and visitors! A long time with no blogging from me - life got in the way in a MAJOR way. My Mom had a stroke in the beginning of January so I've been taking time off to help her recooperate. So I've picked my rubber and inks back up and I am trying to "get back in the saddle again"! I've discovered it takes a while to get my creative juices flowing! 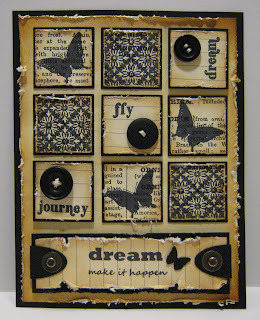 I am glad Innovative Stamp Creations has a new line of images that are butterflies - one of my favorite images to work with!  Create your own bauble! All the images are stamped on black and cream patterned paper. The background cream paper was created using Antique Linen Distress Stain. 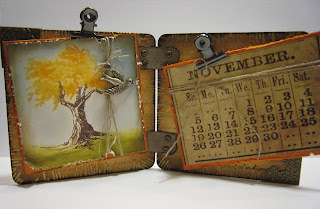 Let's see - a trip to see Tim Holtz in Boston.... Making Christmas gifts... holiday baking.... holiday decorating.... holiday shopping... holiday parties.... Oh let's squeeze Thanksgiving in there too.... Yeah that about sums it up! Overall I am in great shape for Christmas - some shopping left and wrapping and a little more holiday baking... Oh and let's not forget addressing and mailing my cards... Not too bad considering there's 19 days until the big day! 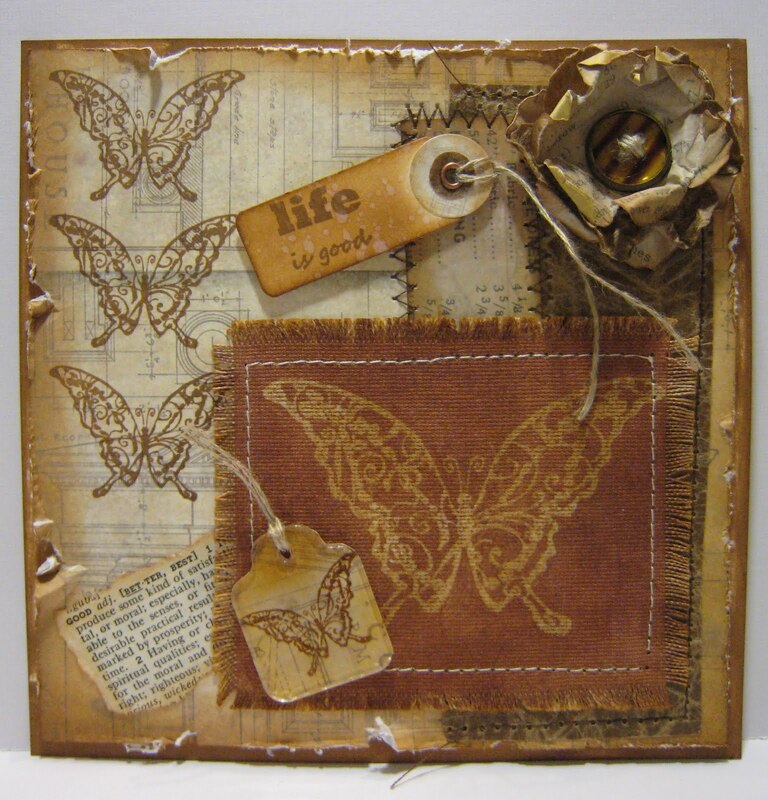 The back piece is two unfinished pressed paper coasters linked together with little grunge paper hinges. 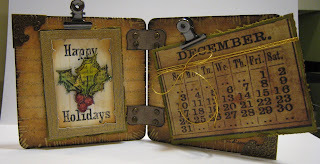 The Holly and calendar pieces are clipped on and can be changed for each month/season. I used Tim's lost and found paper for the month because my printer is not working and I could not print out the "real" months. Are you ready Christmas (the most wonderful time of the year)? Have you started Christmas shopping yet (me - yes - I actually have a friend who is finished and thinking about starting her wrapping - we can all hate her later okay)? 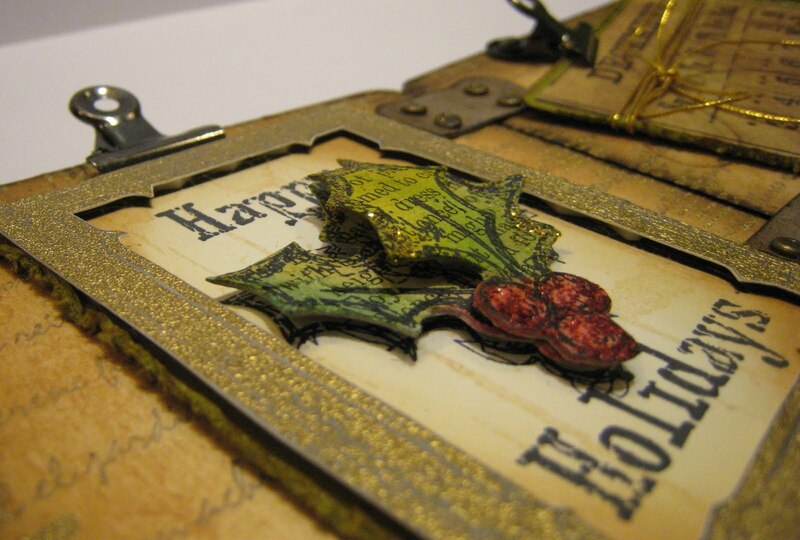 How many handmade Christmas cards have you created (I am over half way there)? 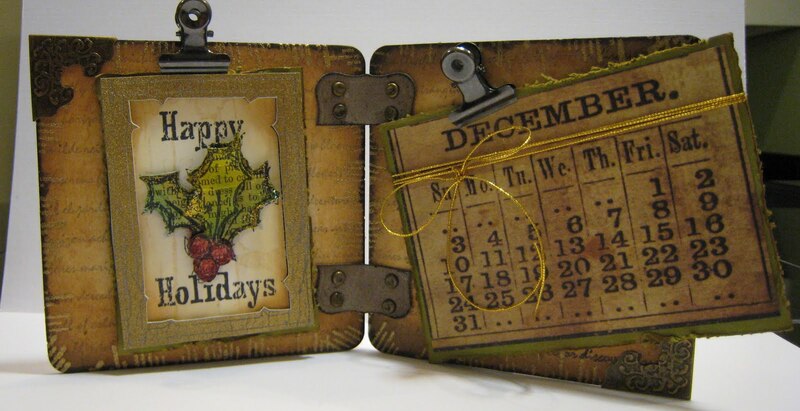 Do you buy store bought Christmas cards instead (nope it's either handmade or none)? So I hope my Christmas card will inspire you to either get started or complete your Christmas cards today! 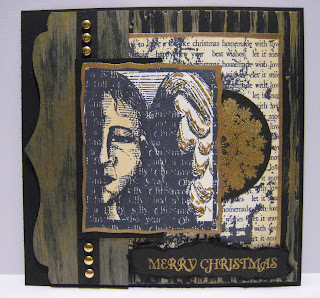 I thought this Angel needed an elegant background so I used the cream, black and gold color palette. The angel was blended with antique linen distress ink and gold stickles applied to her wings. I used a gold dabber on the textured background panel (cuttlebugged) and the bracket panel. Some gold embossing, Krylon Gold paint pen finished the card. I used a markers to color the main image - not something that I use very often but worked out beautifully with the leaves and the tree! 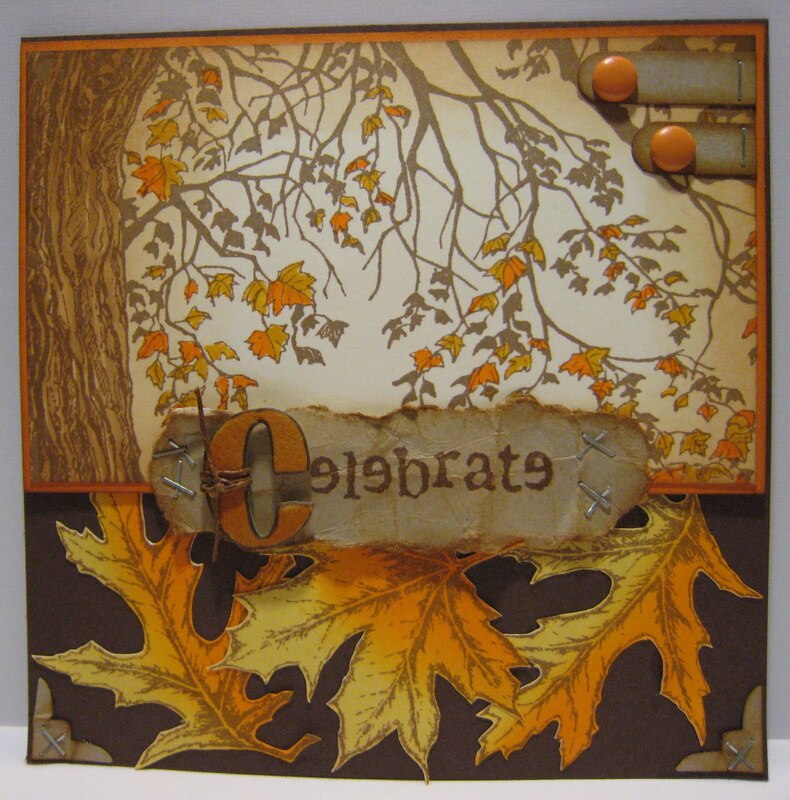 The larger leaves were colored using distress inks and then a little cutting therapy! the "C" is a piece of chip board and then a went a little stapler happy with Tim's Tiny Attacher!! !